Batman isn’t getting an origin story… and I’m okay with that. It’s backwards of the Marvel model, with the first movies for the heroes coming after the combined movie. The odds of those films being origin stories (or origin-story-like) seem really high to me. But either way, do you see what’s missing? Which means he’s definitely not getting an origin story. And you know what I have to say? Thank goodness. He doesn’t need one. People know. Honestly, we probably didn’t need much of Man of Steel either. People know Superman. It’s when we get down to, say, Shazam, that an origin story might be nice. Or Flash and Green Lantern – to differentiate them from other versions. But Batman? He’s busy being Batman. We know how that goes. Doesn’t need a movie – and so there isn’t one in the works. And I appreciate that and I’m okay with that. How about you? Let me know what you think in the comments below! I’m not a huge DC fan, Marvel is much more my style. 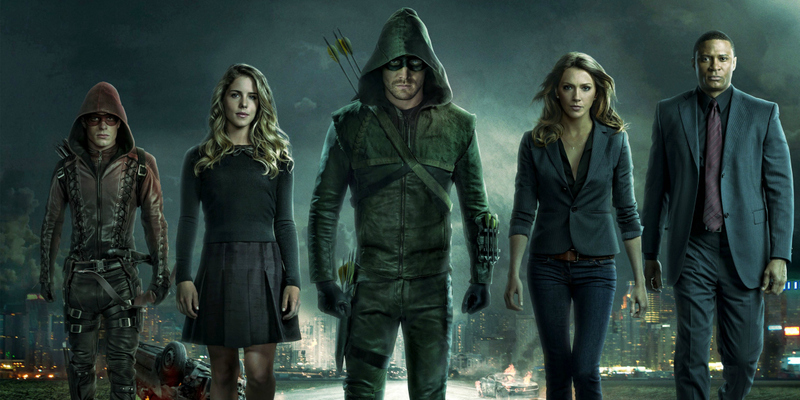 I’d never much wanted to check out Arrow, but when I saw it was on Netflix I figured it would be worth a shot. When I first started watching it, I thought it was basically Batman if his parents, or at least half of them, were alive. Further in (I’m about halfway through season 2) I realized it’s not Batman 2.0, it’s actually Hamlet. From what I can tell, that comes from the show’s deviations from the comic book plot, such as leaving his parents alive into his young adulthood, but I do feel it’s been done to great effect to draw in more viewers.